A Song for a New King and 16 million opinions. In typical Dutch tradition everybody has an opinion about everything. This usually manifests itself best when our national football (soccer) team is playing (badly), and the higher the stakes, the more opinions there are. Everybody is a coach and knows what’s best for our team. But, in fact, next to the current national coach there might be 3 or 4 people in the land that can do an equal or better job. Not a couple of million (but that doesn’t stop them from having an opinion). Now, 30th April we’ll have a new King, the first King since 1890, and the Dutch top of the poppers decided to create a song in his honour. , or “A Song for a King”. Now, I have an opinion about most things.., some things I know nothing about and I’m still able to form an opinion. I am often wrong and should learn to either say something positive or meaningful.., or say nothing. 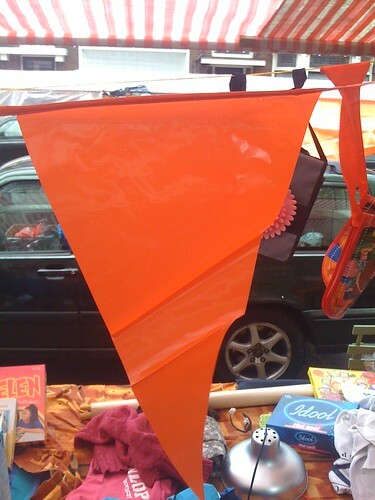 I don’t like “Het Koningslied“. I never really liked Dutch music (just a few exceptions), and I do not particularly like Dutch singers.., especially when singing in Dutch (just a few exceptions). “Het Koningslied” has the perfect formula for me not to like it.., and as I said, I don’t. It was not created for me. It was not written by me. It was not produced by me. It was not recorded by me. I know it took a lot of effort to create, that all involved spend time and gave it their all. And now the whole nation has an opinion.., and it isn’t good. In fact it’s bad, really, really bad (and really sad). Instead of adopting it for what it is, it got burned.., to the ground. In fact, it received so much criticism that the producer of the song, John Ewbank (who wrote/produced a record number of eighteen #1 Dutch Top 40 hit singles) withdrew completely from the project. Ewbank received so much personal criticism that he decided that it was not worth being involved any longer. Well done Dutchies… What a great way to show your appreciation for what was supposed to be a song of celebration and support. The song isn’t that bad, it might not be to my taste, but that’s irrelevant. The people who created it made a valiant attempt to reflect the (royal) moment and the Dutch culture. I’d say that’s a very difficult thing to do.., and apparently impossible. People.., do not take yourself so serious. Just because you can Tweet or write a comment on YouTube does not mean you have to, or that other people want to here it. You could not have done a better job than Ewbank. The song was not written for you, but for your future King (and I believe he’d love it). There’s a time and place for criticism and you are allowed to have your opinion. But, make it about a better moment or experience, offer help to improve, genuinely offer support. People, chill out. Have fun, find positive outlets, be grateful, choose to be happy and appreciate each other.